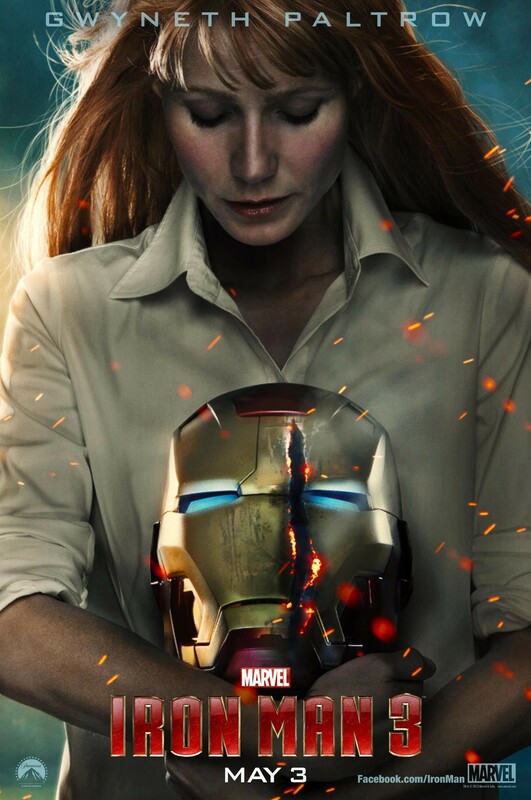 As we get closer to a new trailer for IRON MAN 3, Marvel and Disney are pushing out character posters for the film. 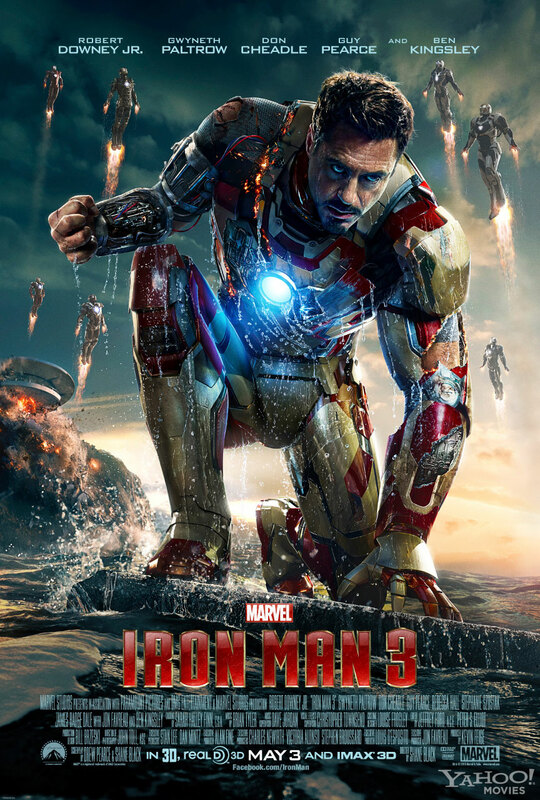 The first two released do not contain the man himself, Robert Downey, Jr. as Tony Stark or as Iron Man, however, the first two posters did have Iron Man / Tony Stark as the center pieces even if they weren’t described as character posters. 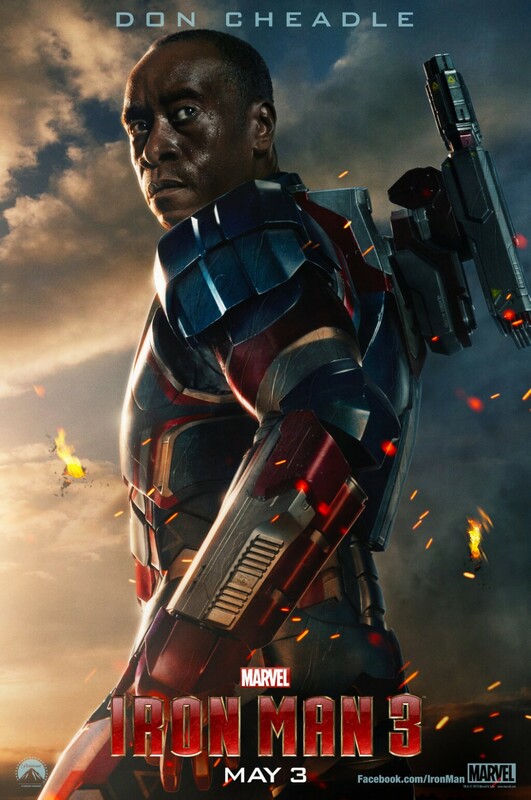 The first two we have received are for Don Cheadle’s character James “Rhodey” Rhodes / War Machine wearing his new Iron Patriot themed armor and for Guy Pearce’s character Aldrich Killian who, in the comics, is the creator of the Extremis technology which is said to play a role in the film. 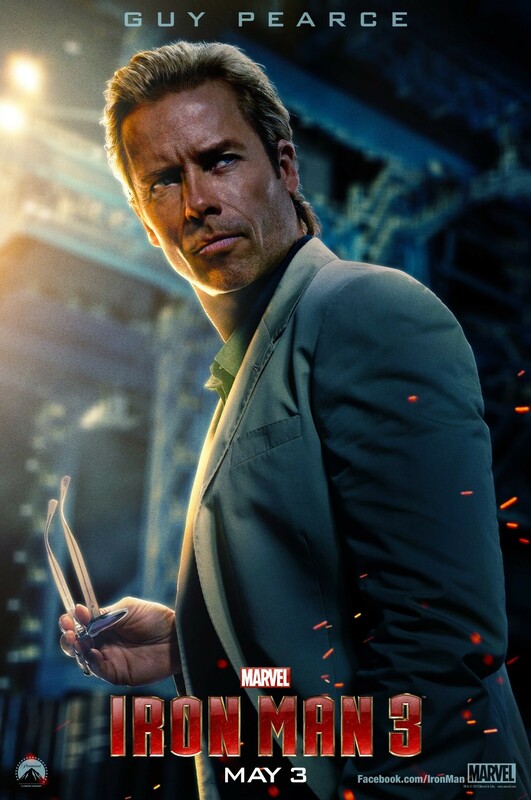 Check out the two new posters below and as new ones are released, we will update the post. Click on the pictures to make them larger! 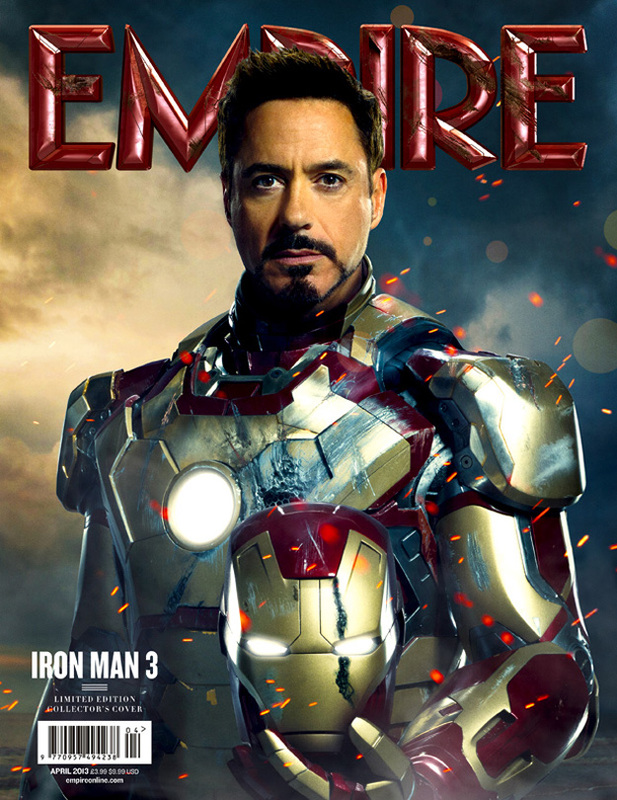 Empire Magazine has a version of the poster that shows more detail. 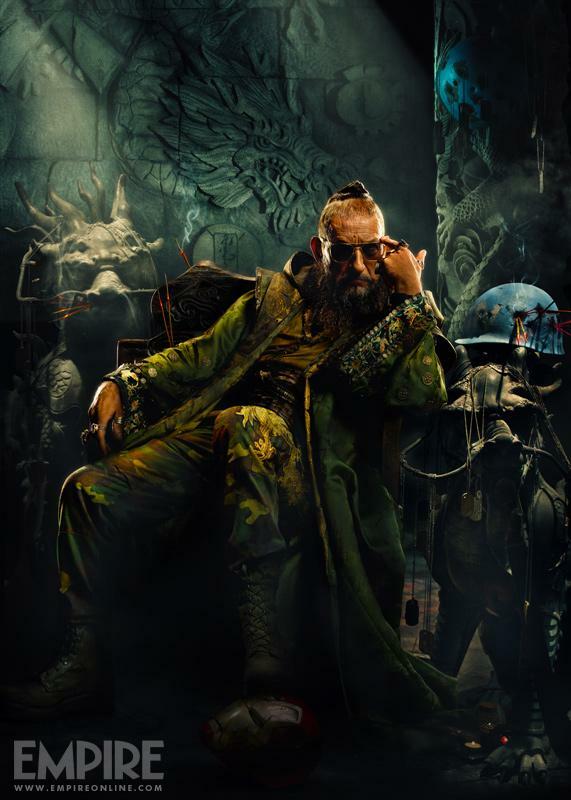 Notice the amount of dragons (maybe a not-so-subtle nod to Fin Fang Foom) and also notice the Iron Man helmet on the ground and Captain America’s World War II helmet on the far right of the picture next to his arm. What do you think these additions means? 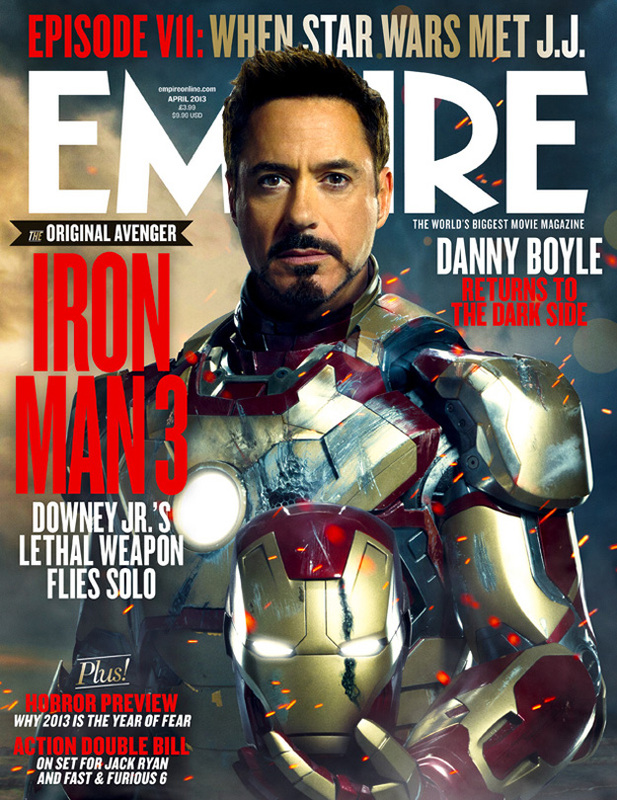 2013-02-25 – Updated with TONY STARK / IRON MAN (Robert Downey, Jr.) thanks to Yahoo! Movies. 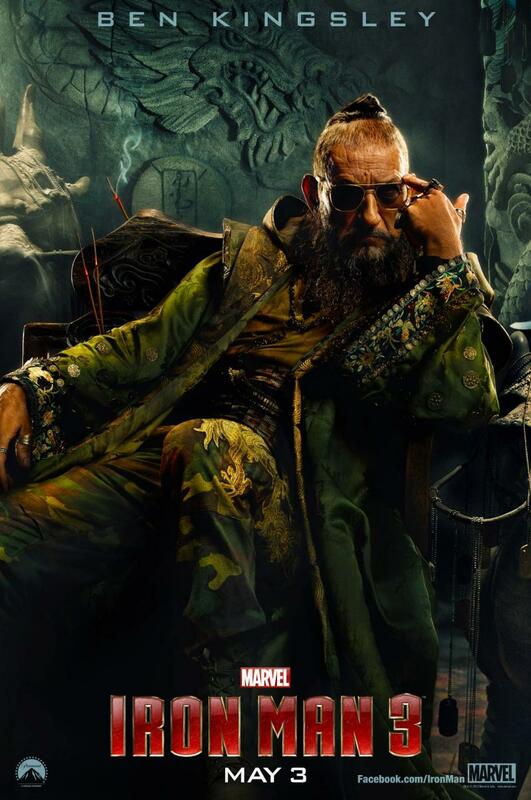 We also have confirmation that the new trailer will be coming online on March 5, 2013 at 9am PST.